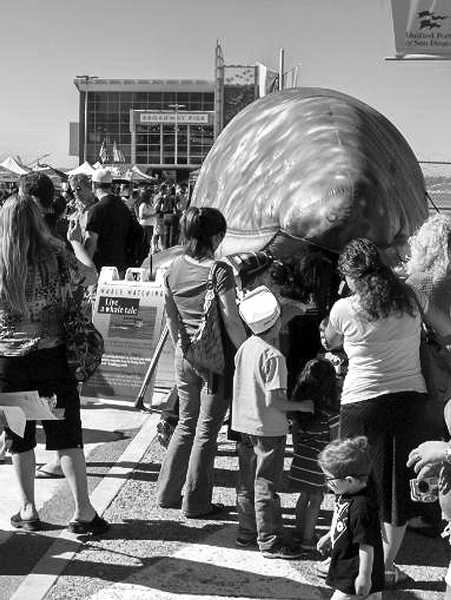 The Big Bay Whale Festival is a free, one-day family festival with a wide variety of interactive and hands-on displays to learn about California gray whale ecology and conservation. The festival will feature more than 50 vendors providing giveaways, food and entertainment. Fun on-site activities for the kids will include a walk-through whale, a mini-train that the family can ride aboard, a bounce/obstacle course, free face painting and a sea life coloring mural. Sam Mejia, aka “Captain Sam Diego,” will be adding even more excitement with adventure on the high seas as a resident pirate captain and goodwill ambassador for all things San Diego. There will be information about a variety of whale-watching trips, waterfront attraction information, radio station giveaways and more. A crowd favorite in years past, the event’s main stage will feature a variety of family friendly entertainment throughout the day, including flamenco youth performers, James Gibson band, and country rock and folk & blues band, MoonDog. Festival hours are 11 a.m. to 3 p.m., Jan. 25. This is a free event at the Port Pavilion on the Broadway Pier in downtown San Diego. In addition to the one-day festival, Big Bay Whale Days will be celebrated the entire month of January. The waterfront businesses offer discounted whale watching and bay cruises, admission specials to waterfront museums and money-saving offers at Embarcadero hotels, restaurants and retailers.